Release: Official site: Official site [de] | Official site [it] | Official site [uk] | Warner Bros.
161 min [ Hogwarts is back in session. ] - Everyone's favorite novice wizard, Harry Potter, continues his high-flying adventures at Hogwarts. 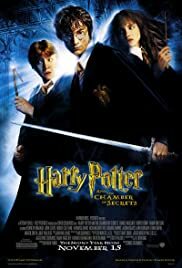 This time around, Harry ignores warnings not to return to school - that is, if he values his life - to investigate a mysterious series of attacks with Ron and Hermione.